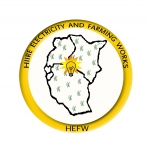 Name Of Business : Hiire Electricity And Farming Works, Type of Business : Renewable Energy and New Modern Type Of Farming, Products Or Services : Bio-gas,Farming Electrical Installation,Garden Preparing,Consultations and clarity. Customers:Companies,Schools,Hospitals,Farmers,Government Institutions. She is the Director Farming Department and Researcher, Who has done agriculture for more than 5 years in the fields. She collects information and heads to the public for broadcast and publicity.